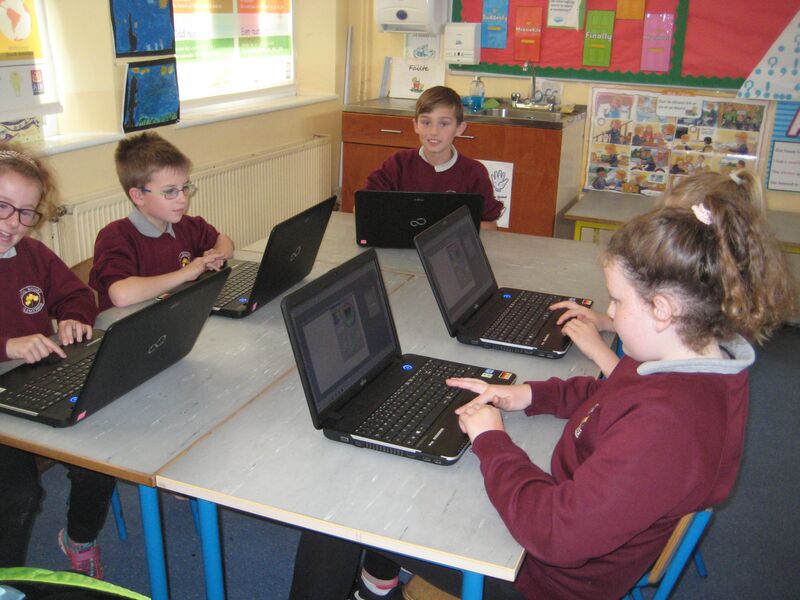 Throughout the month of September we have been really lucky in the senior room to have Adrian Keena from Mayo Education Centre visit us weekly to teach us all about using Google Docs, G-Suite and Paint Shop Pro. 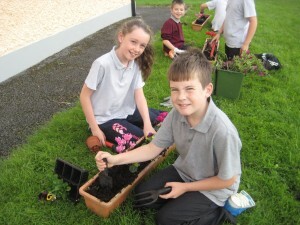 We have really enjoyed the classes and are looking forward to using the skills and techniques that we have learned over the coming year. 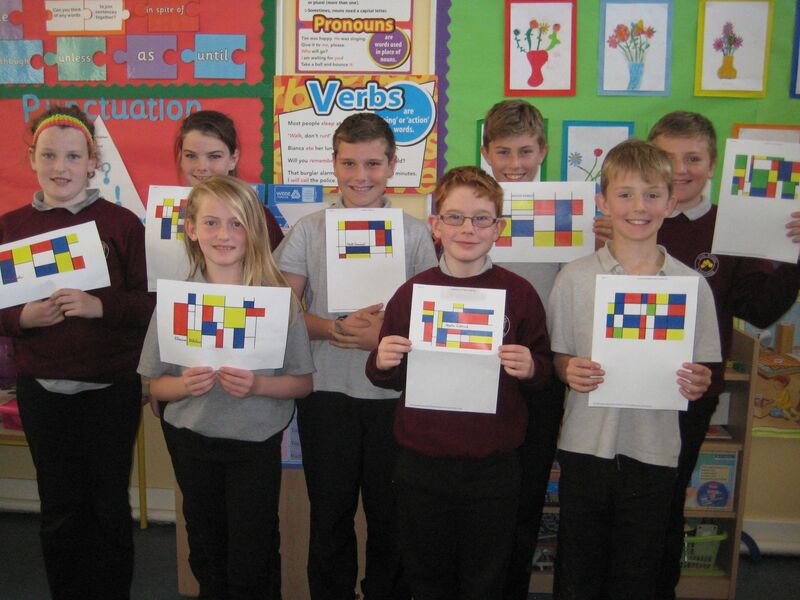 Have a look at some of the digital art that we created which was based on the work of the famous Dutch artist Piet Mondrian. 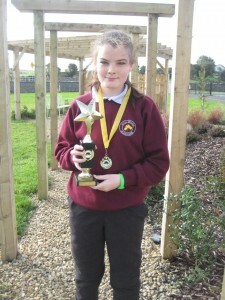 Congratulations to Michaela who is our new ‘Student of the Month’ for October. Well done on all your hard work Michaela. There was great excitement in school today ahead of the All Ireland Final on Sunday. All the boys and girls from Glencorrib N.S. 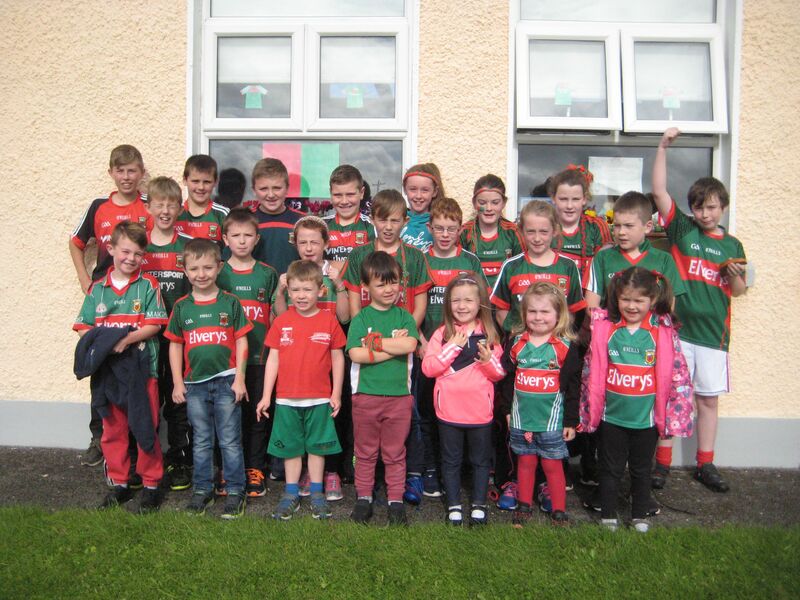 and Footsteps Pre-School dressed up in green and red to cheer on Mayo. Rumour has it that we could be heard all the way to Croke Park while we sang ‘The Green and Red of Mayo! 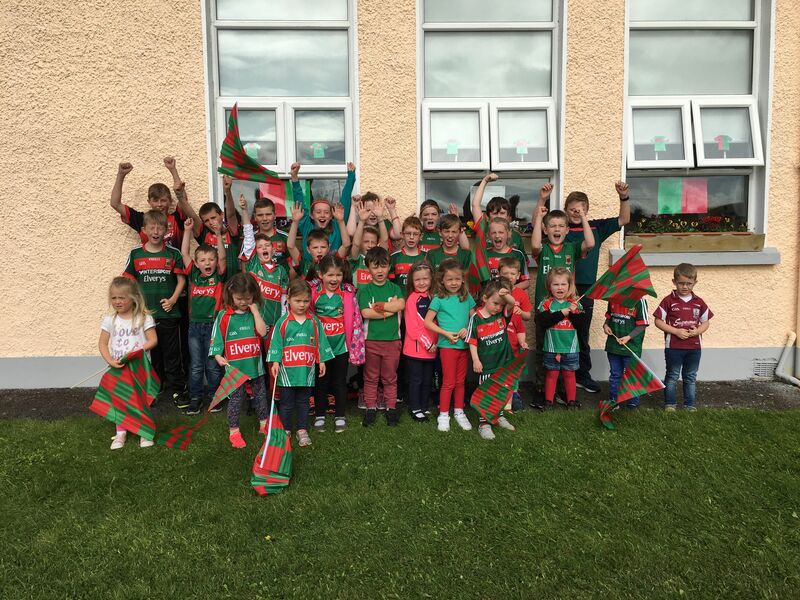 We had a great day and wish the Mayo team and management the very best of luck on Sunday. 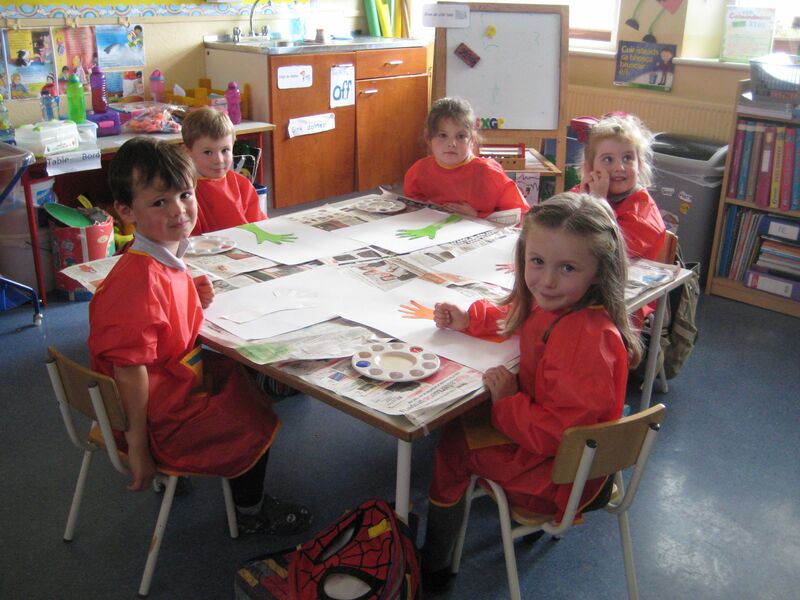 The new junior infants have had an excellent and enjoyable week in school! We have been settling in really well and learning lots of new things. 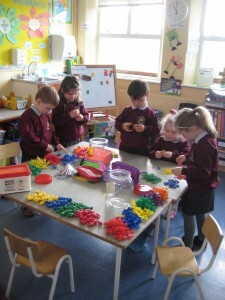 Today we had ‘Golden Time’ where we each brought in our favourite toy and played freely for the last half hour of the day. This was our reward for working so hard all week. 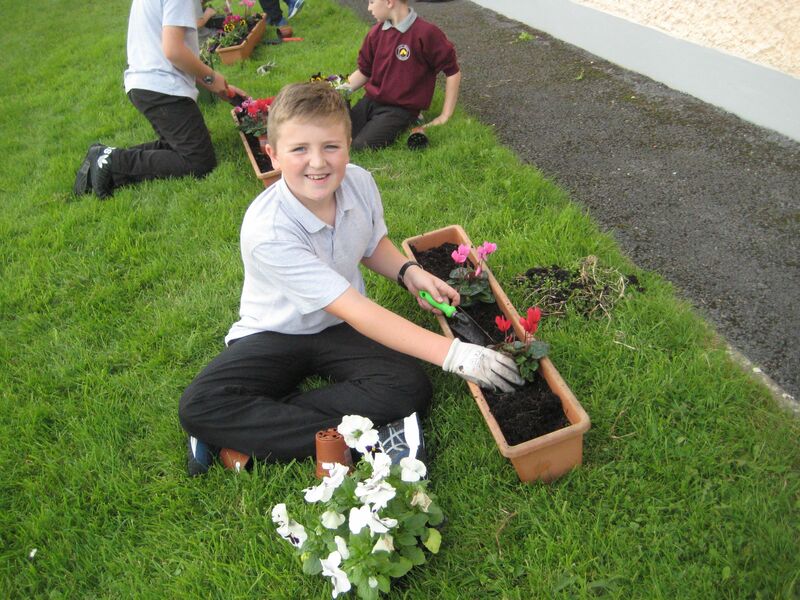 It was great fun and we are already looking forward to ‘Golden Time’ next week! Have a look at us in action during our golden time today! 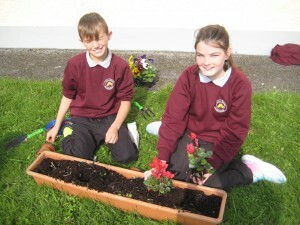 Múinteoir Lorraine’s room spent some time in the garden today adding some fresh flowers to our window boxes. We planted some pansies and cyclamens which will hopefully keep our window boxes in full colour right through the autumn and winter months. 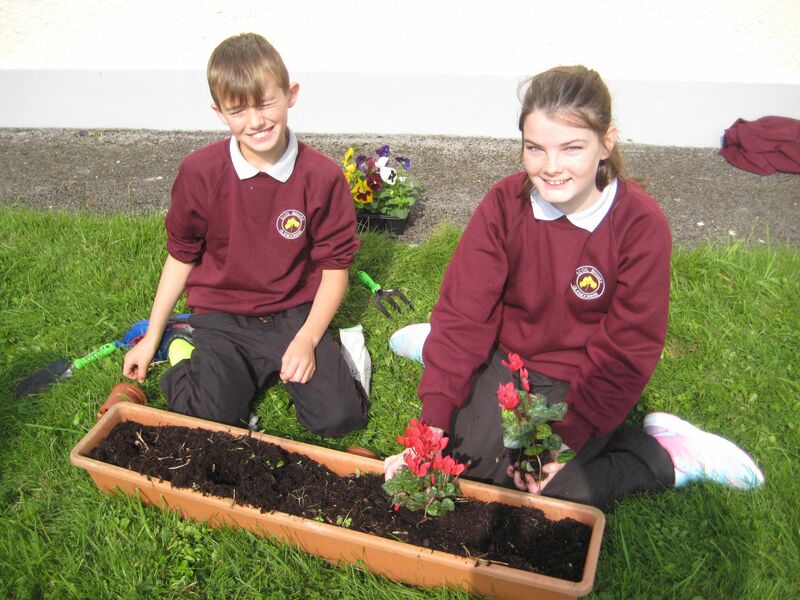 We had great fun and are looking forward to watching our new flowers bloom over the coming months. A wonderful first week at school! 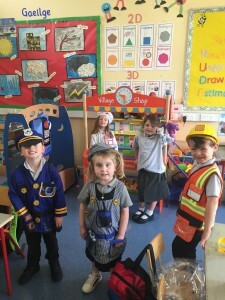 Our new junior infants have had a wonderful first week at school! 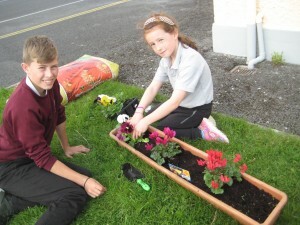 We loved learning ‘Rólaí Pólaí’ and ‘Is mise an traein’ in Irish. We have also been learning how to sort colours in maths. 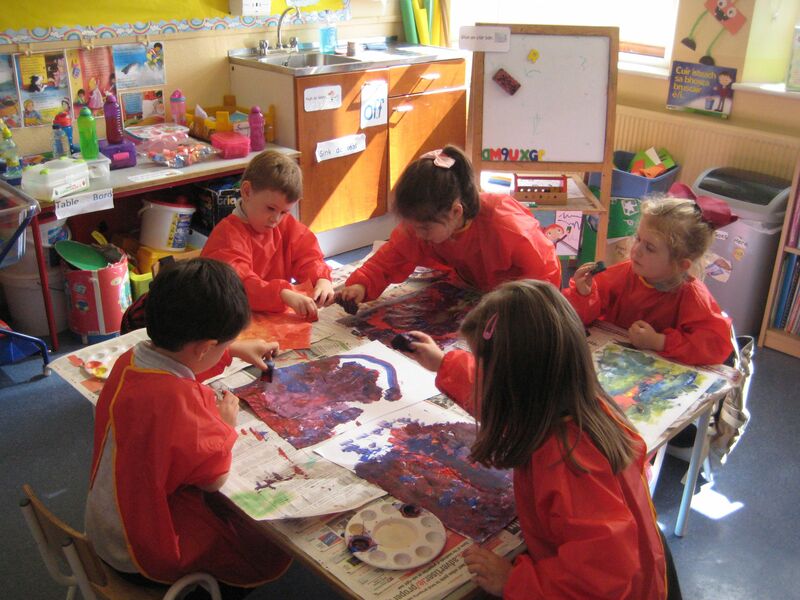 Today we had lots of fun during our first art lesson where we learned the primary colours and what colours they make when we mix them. Have a look at some pictures from our first week.